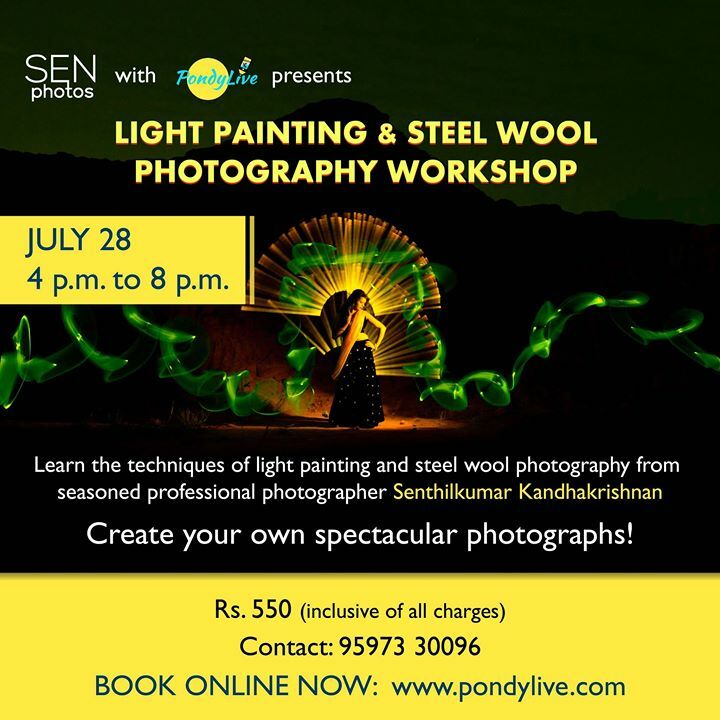 Sign up for this workshop by SEN PHOTOS & PondyLive! Learn the techniques of light painting and steel wool photography from seasoned award-winning photographer Senthilkumar Kandhakrishnan. Tap into your creativity and come up with your own spectacular shots. Book in the link above!